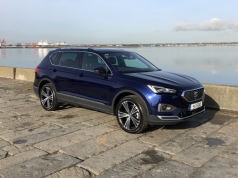 In this modern day of all things hybrid and electric, it’s encouraging to see that manufacturers are still producing high performance petrol-powered models. I’ve nothing against the aforementioned vehicles and with the current advancements in technology they are a viable option for some. 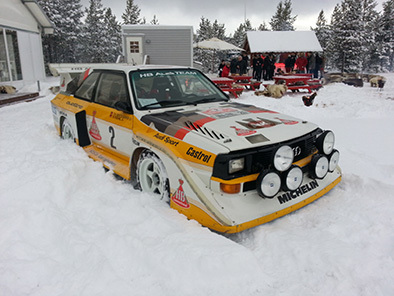 However, for the purist who takes pleasure from cars and driving them, they still need cars that can excite the senses. This is where the Audi RS4 comes to fruition, along with all the other S and RS models Audi Sport produce. 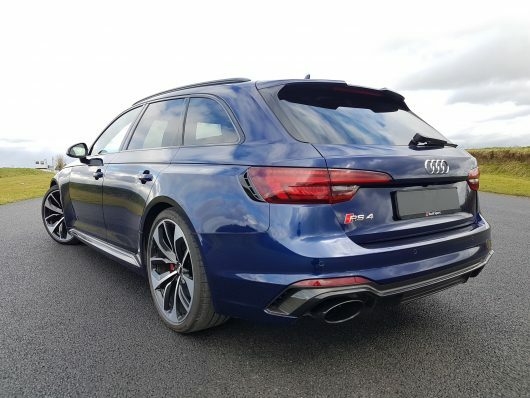 This fourth-generation Audi RS4 makes a statement when you first set eyes on it, it’s adorned with wide muscular wheel arches, vents, diffusers and adornments of pristine carbon fibre to give it a purposeful stance. Our press car also had the optional 20-inch Audi Sport anthracite black alloy wheels to complete the look. Wherever you go in the RS4 be prepared for an onslaught of admirers, usually you will be heard before seen, thanks to the twin oversize oval sports exhausts. In dynamic mode the RS4 emits a glorious soundtrack with pops and bangs on the upshifts and downshifts through the eight-speed tiptronic transmission. The interior is sporty yet refined, the figure-hugging leather clad sports seats hold you firmly in place. The 12.3-inch Audi virtual cockpit can be configured at the touch of a button on the steering wheel to suit the driver’s preferences. I selected the view of a large rev counter and speedometer, this gives you a nice uncluttered view of the essentials, along with your water and oil temperature readings. 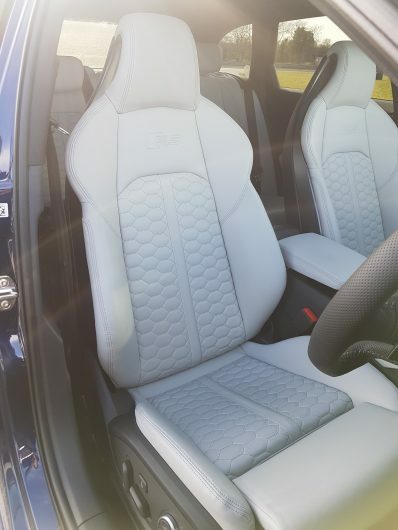 The use of carbon fibre and alcantara on the interior really give you the premium feel of this sports estate. 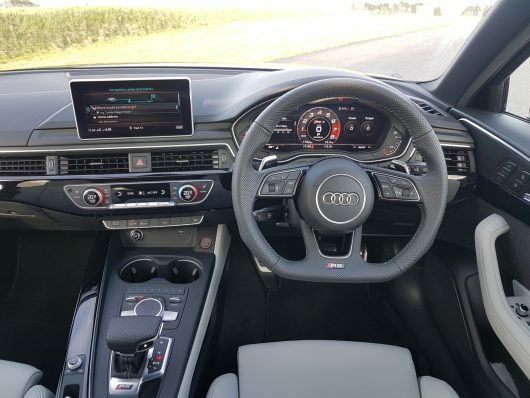 As ever with Audi I’m impressed with the high-quality switch gear and ease of use for their infotainment system, I wish more manufacturers would take Audi’s lead in utilising Google Maps for the navigation systems, it’s just perfect. Interestingly this Mk4 RS4 is only available as an Avant, no bad thing really when you look at it, it’s simply gorgeous from any angle. It’s longer, wider and lower than its predecessor, with a stretched wheelbase, the boot can accommodate an additional 50 litres too, all this with an 80kg weight saving. On a daily commute to the office the RS4 is docile and comfortable, left in comfort and auto selected it’s effortless to clock up the miles. 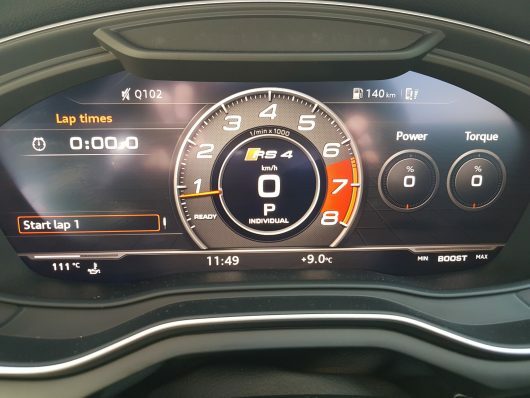 However, select dynamic mode and the car truly comes alive, the rate of acceleration is fierce, as is the rate at which the fuel gauge lowers, I challenge anyone to try and get anywhere close to the manufacturer’s claimed fuel consumption figures. That said, if you can afford an RS4, fuel costs shouldn’t be much of a concern. 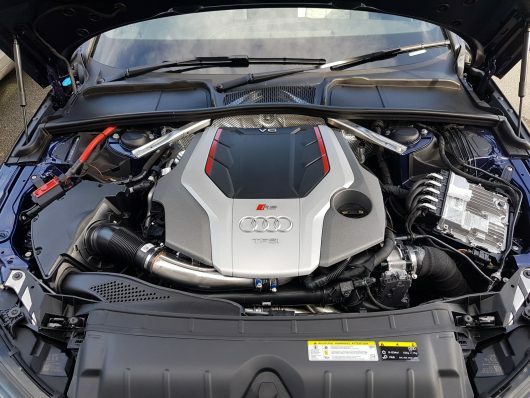 Audi has dropped the 4.2-litre V8 in favour of this 2.9-litre V6 biturbo engine, yet power remains at 450 horsepower, with an increase in torque to 600Nm. At first, I was disappointed to hear of the demise of the V8, all this was soon forgotten once I drove the car. 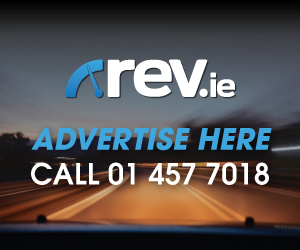 There is an abundance of power and torque throughout the rev range, all backed up with a glorious soundtrack. The RS4’s damping is excellent with little to no body roll evident through sweeping corners, the immense brakes keep everything under control on road and track. 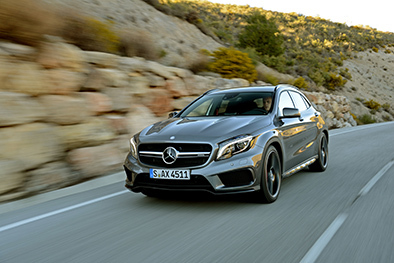 In normal driving torque is split 40:60 front-to-rear, but in cases of wheel-slip being detected, up to 85 percent of power can be transferred to the principal axle, with a maximum of 70 percent going to the rear wheels. 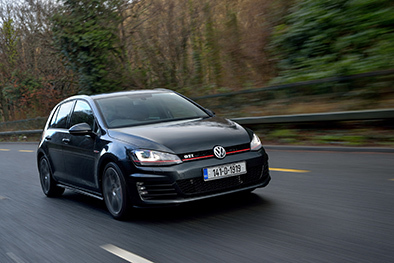 To safely test the car’s agility, we took to the track and drove around Mondello Park’s National Circuit. It’s here you can really appreciate the car’s strengths, in a safe and controlled environment. After just two laps the RS4 put in a blistering lap time of 1:03.5 placing it second overall on our lap chart leader board. We’ve a video below of the car on track. 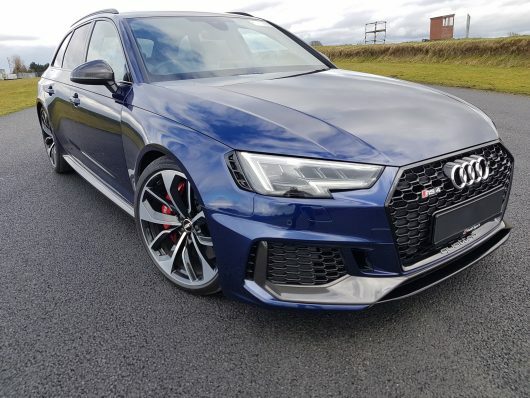 The Audi RS4 has impressed us on many fronts, we just hope Audi Sport continue to design and produce high-performance cars as they are clearly proficient at it. 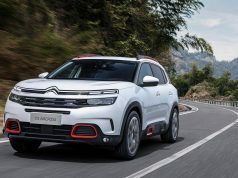 Previous articleYour Chance To See The CITROËN C4 CACTUS Up Close! Next articleNew Opel Corsa GSi On The Way!